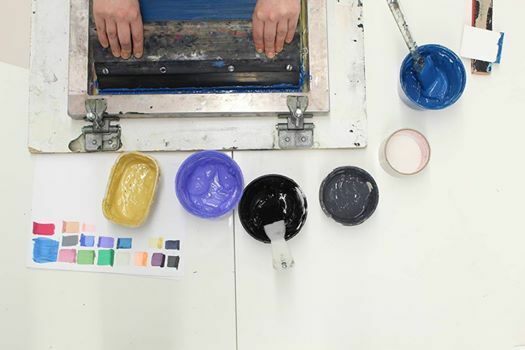 Learn the basics of one-colour printing on paper and fabric in our long-running workshop since 2006, offered through our collective Spins & Needles. > Take away small art prints on paper or fabric you've brought with you. > Use your own image or our stock images as artwork to print. 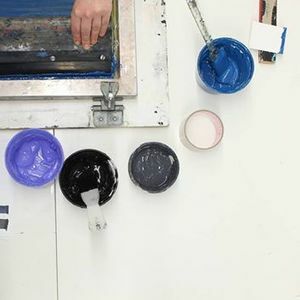 To encourage you to keep printing after the workshop, take your screen with your own artwork or blank screen for an additional $30 or a professional grade squeegee for $10 + HST.